In Bahrain, political dissidence can be punishable by death. The Government of Bahrain employ the threat of capital punishment as a means of political intimidation. Between 2011 and 2014, Bahraini courts have handed down 11 death sentences; in the last six months, they have handed down at least four more. Disproportionately, these sentences have been based on false confessions, extracted from detainees under severe duress. Though Bahrain has not carried out an execution since 2010, the threat of one remains very real. To demonstrate the human consequences of a capital punishment mechanism so dependent on torture and coercion, this month’s Champions for Justice features eight of Bahrain’s current death row inmates. Their stories highlight a growing culture of violence, political prejudice, and criminal disregard for due process within Bahrain’s legal system. Mohamed Ramadan ‘Issa ‘Ali is a 32-year-old airport security guard in Bahrain. 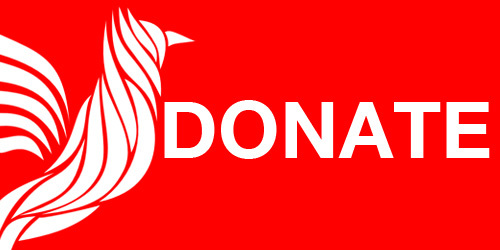 On 20 March 2013, Bahraini authorities arrested Ramadan for his alleged involvement in a bomb explosion that killed a police officer on 14 February 2013. 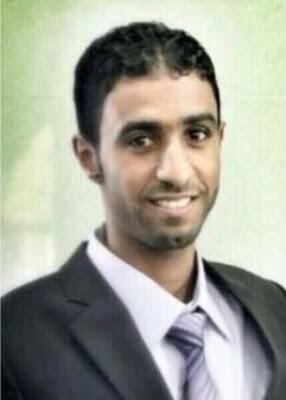 Without a warrant, and without informing his family, security forces detained Ramadan for at least four days. During this time, Interior Ministry officials subjected Ramadan to severe torture. Ramadan eventually signed a confession in order to stop the abuse, but when he attempted to explain this to a judge the authorities tortured him for another 10 to 13 days. According to Ramadan, he was told the government knew he was innocent, but his involvement in the pro-democracy movement made him a traitor who deserved the death sentence. On 29 December 2014, Ramadan was convicted of murder and sentence to death based on his false confession and the coerced testimony of other defendants. On 26 May 2015, an appeals court upheld the ruling. He is currently detained at Jau Prison, awaiting execution. Hussain ‘Ali Moosa Hussain, 28, was tried along with Mohammad Ramadan for his alleged assistance in the 14 February 2013 bombing attack. 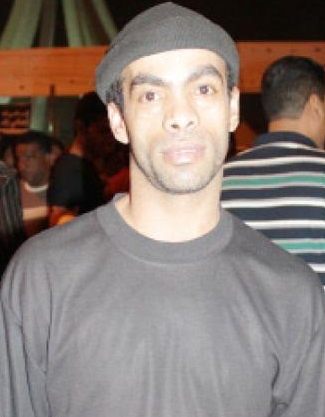 The authorities arrested Moosa on 21 February 2013 and took him to a security facility. For three days, security officials hung Moosa from the ceiling while they beat him with batons and threatened to harm his family, specifically his sisters. Like Ramadan, Moosa eventually signed a false confession in exchange for an end to his torture. Also like Ramadan, when Moosa recanted his confession, he was subjected to further torture. This period of abuse reportedly lasted three months. During his trial, Moosa was denied consistent access to legal counsel. When Moosa did have access to an attorney, the judge prevented the defense from properly preparing and refused to provide appropriate documentation. Furthermore, the prosecution used Moosa’s coerced confession to not only convict him, but to falsely incriminate Ramadan as well. Moosa and Ramadan were sentenced to death on the same day, 29 December 2014. Moosa is also being held at Jau Prison, awaiting execution. Sami Mushaima was arrested on 3 March 2014, when Bahraini security forces raided the home of the prominent Mushaima family. Due to the family’s association with the pro-democracy movement, the home had been previously raided at least 23 separate times. On this occasion, approximately 15 security officials came to arrest Sami Mushaima for his alleged involvement in a bomb explosion that killed three police officers only a few hours earlier. Though he did not resist arrest, the security forces violently subdued Mushaima and transported him to a detention facility. Over the next several weeks, he was subjected to extreme torture. Security officials routinely beat, electrocuted, and sexually assaulted him, among other severe forms of mental and physical abuse. 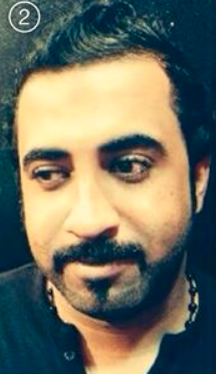 Mushaima’s family believes he was coerced into falsely confessing through the use of torture. Mushaima’s family claims that he is illiterate and lacks the skill necessary to assemble a remote-controlled explosive device. Nonetheless, on 26 February 2015, Mushaima was sentenced to death. He is currently waiting on an appeal. Abbas al-Samea is a 25-year-old teacher who was arrested on 3 March 2014, the same day as Sami Mushaima, for his alleged participation in the same bomb explosion. Despite credible evidence that al-Samea was in school at the time of the bombing, a judge sentenced him to death on 26 February 2015. 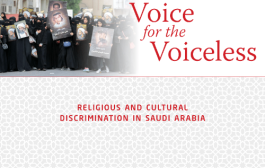 Al-Samea was also featured in a previous Champion of Justice installment that highlighted victims of severe abuse at Bahrain’s Jau Prison, where many death row inmates are held. Read more about him and other detainees here. 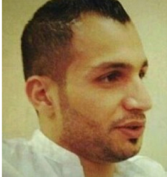 On 19 February 2014, the Bahraini government sentenced Maher al-Khabaz to death for his alleged use of a flare gun to kill a police officer on 14 February 2013. Three days after the alleged attack, plainclothes officers arrested al-Khabaz at his place of business and disappeared him to a local security facility. There, the officers subjected al-Khabaz to severe physical torture including electrocution and falaka, a specialized whipping of the most sensitive areas of the feet and hands. After a week, the authorities extracted a signed confession from al-Khabaz – despite him being illiterate and blindfolded. The ensuing trial was based on this false confession, the false confessions of alleged compatriots, and the testimony of the involved police officers. 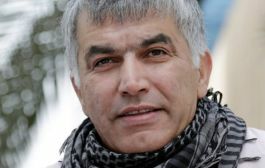 Throughout the proceedings, al-Khabaz was denied consistent access to an attorney and threatened with continued torture. The Court of Appeals upheld al-Khabaz’ death sentence on 31 August 2014. He is currently detained at Jau Prison, where he awaits execution by firing squad. Ali Abdulshaheed was arrested by security forces around the same time as Sami Mushaima and Abbas al-Samea, accusing him of having participated in the same bomb explosion. 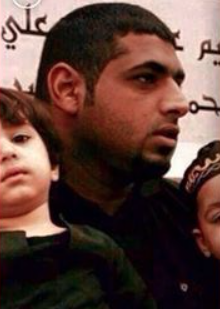 Like Mushaima and al-Samea, Abdulshaheed was sentenced to death on 26 February 2015 after an unfair trial. Salman Isa , 30, was sentenced to death by the High Criminal Court on 29 April 2015 for his alleged involvement in a bomb attack that killed a police officer a year prior. Along with Isa, the court sentenced 11 other defendants to prison terms ranging from 10 years to life. It is suspected that the authorities subjected all 12 defendants to torture or other forms of coercion in order to extract false confessions. 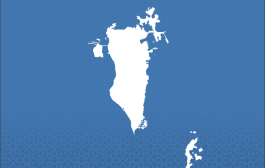 We call on the Government of Bahrain to take substantive measures to protect the rights of suspects and detainees, as reports of torture and abuse in pre-trial detention and in Bahrain’s prisons continue to proliferate. 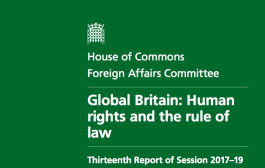 To this end, we urge the government to allow UN Special Rapporteur on Torture to visit the country to investigate allegations regarding the systemic use of torture and coercion within its criminal justice system. Ultimately, we call on the government to thoroughly reevaluate all cases based on false confessions and/or testimony elicited using torture, and to commute the sentences of all death row inmates, hold accountable any officials responsible for their abuse, and – pending the proper investigations – ensure their release.